Director Thor Freudenthal has tweeted a new official still from Percy Jackson: Sea of Monsters with the help of the fans. 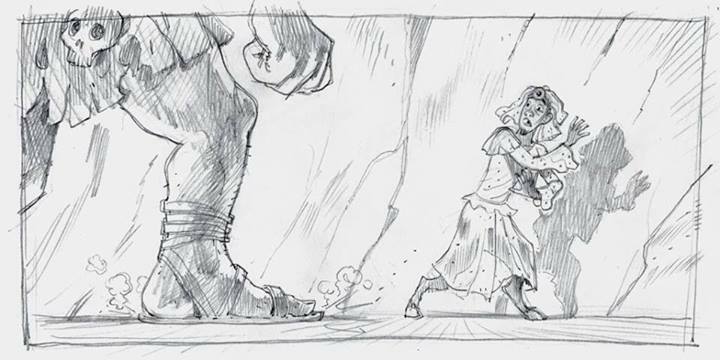 First releasing a sketched storyboard, as you can see below, of Grover wearing a wedding Dress, the movie called for fans to tweet as much as 5000 posts with ‪#‎PercyJackson‬ hashtag before the actual movie still can be revealed. 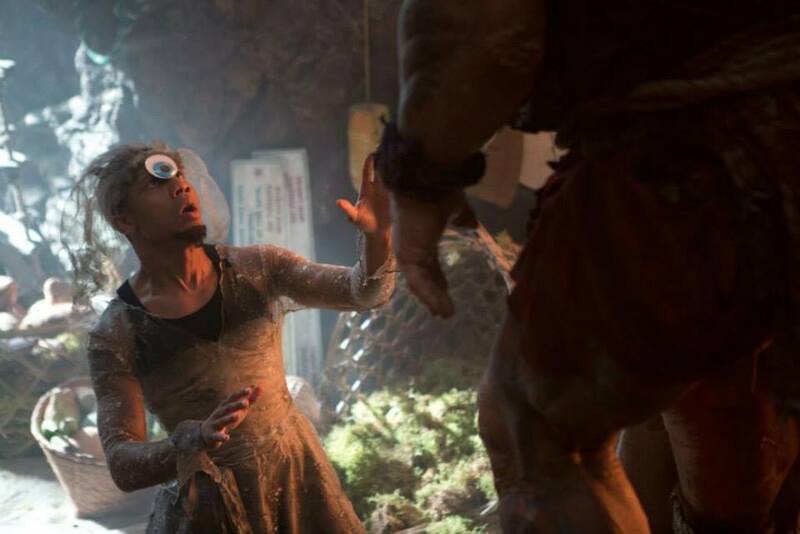 Want to see the official still of Grover in a wedding dress? Use #PercyJackson 5000 times & @ThorFreudenthal will post it! And in no time fans around the world has complied and this new still finally surfaced via the movie director's Twitter account to the delight of the many fans. Here is the picture in higher resolution. This is how it looked during storyboard! What do you think, guys?